From Moshi there are five options for safari destinations that can be visited as a one day trip. They are: Arusha National Park, Manyara National Park, Tarangire National Park, Mkomazi National Park and Ngorongoro Conservation Area. Departure is in the early morning, how early depends on which destination you choose. You will be picked up at your hotel and driven to the site and will immediately go on a game drive. A box lunch will be provided and game viewing will continue until mid afternoon when you will start your journey back to Moshi. Spending some of the time on a walking safari (with a mandatory armed ranger) is possible in some of the parks. If this is an option that interests you, please let us know. “If you can't reach to the top just try to the base"
Mandara hut is the first hut in along the Marangu route ("Coca-Cola route"). 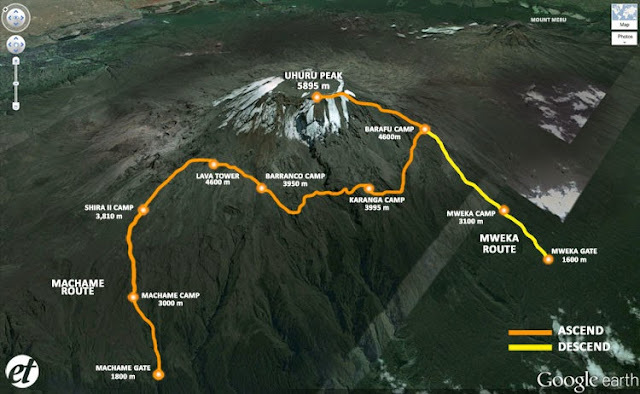 The walking starts from the starting point of Marangu Route (1970m) it’s just an hour drive from Moshi Town to the Park Gate (starting point) and three hours walking from the gate to Mandara hut (2700 m). Enjoy walking in the montane forest where Mandara hut is situated on the forest belt border just below the Maundi crater. Walking in the montane forest and shortly in the heath and moorland vegetation with beautiful endemic flora to Maundi crater you will enjoy the breath taking view of magnificent Mt. Kilimanjaro, also you can get the chance to see varieties of birds, primates i.e. Black and White Colobus monkey and varieties of trees and beautiful flowers. Lake Chala is a unique caldera lake, and is thought to be the deepest inland body of water in Africa. This lake is fed by underground springs from Mt. Kilimanjaro. The lake has a great diversity of life. From lush lake shore forest to stunning volcanic savanna; from river beds marvelously carved through ancient rock, to thick bush or open 'mbuga'. Walking at Lake Chala is a magical experience that will put you back in touch with nature. Chala has a huge variety of amazing trees, grasses and plants; some are unique to the area. According to the time of year there are hundreds of species of butterflies and birds, including spectacular birds of prey. The African Fish Eagle, with its hunting techniques, Verreaux's Eagle, Augur Buzzards and many other species of birds can be seen around the crater walls. Wild mammals do varies from monkeys to baboons again from dik-dik to kudu, to elephant. Chala is an untouched part of a truly ancient land and a must visit place. Activities at this lake: walking safaris, canoeing, swimming and fishing. Book your lifetime adventure at Marangu village. Come and experience an exciting mix of cultures. 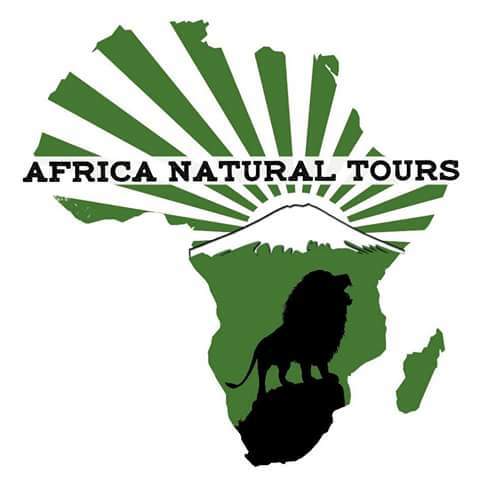 Meet friendly people and discover beautiful scenarios which are not to be found anywhere around Africa. Visit the most excited areas for cultural and recreational walking as Marangu village. Also this walking is very important for acclimatization before and after hiking the Mt. Kilimanjaro and those from long safari. A day at Marangu village your lifetime adventure! Explore the natural beauty of the slopes of Mt. Kilimanjaro. Enjoy and rest in the nature beauty and peace of this magnificent natural site. The music from the waterfalls and radiant colors of the valley transform our inner and outer environment. The Chagga culture and history can be explored by visiting the Chagga live museum site. Several exhibitions include a reconstruction of a thatched Chagga house with a complete livestock inside. The museum also has a display of traditional Chagga tools, farm equipments, rope made from the balk of the mringaringa (Cordia africana)) tree, a genealogical look at the history of the Chagga, some drums and a "bugle" made of kudu horns. There are colorful local markets in different location within walking distances held twice a week in where "bananas" selling takes place. Marangu is the largest market for the sale of bananas in the country and attracts buyers from all over Tanzania. Various indigenous tools are made using iron. These are made for farming activities like hoes, machetes etc. And also Chagga people gets job opportunity by being self employed. The products which are made they sell to earn income for their daily survival. After the successful of hiking Mt. Kilimanjaro, safari or gentle walking, relax and enjoy the exotic country gardens. You can also drop at the local bars (Chagga bar) drink the traditional "mbege" a local Chagga brew made from millet and banana wine. These were used by the Chagga people to hide themselves from the enemies, in which inside the tunnel it comprises of different partitions/galleries like kitchen, sleeping room, mortuary, and livestock pattern and ambushing chamber. From the blessed presence of the fertile volcanic soils on the slopes of Mt. Kilimanjaro majority of villagers are subsistence farmers, practicing cultivation on crops like coffee, banana, beans, yams, etc. Enjoy a delicious, home - cooked meal in Chagga house. Learn how to cook Chagga food especially cooked plantain bananas "Machalari". Have a cup of home-made coffee with our local people. Take a walk through Marangu coffee farms and visit a local home where you will learn the whole process of preparing coffee in traditional way from beans to cup and then you will enjoy a delicious cup of Kilimanjaro coffee. All local fees go to the social development in the village. 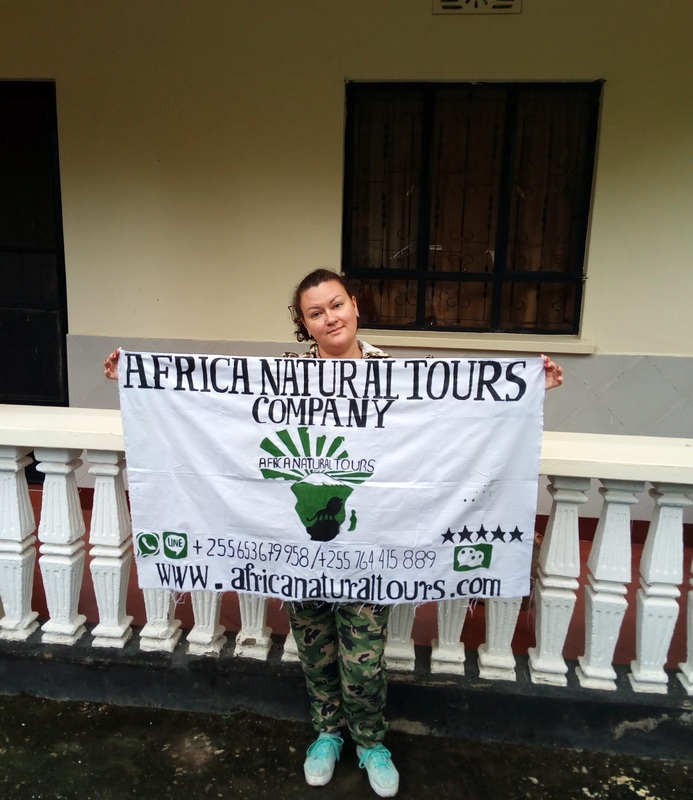 Our tour guides are friendly, professional, organized and certified. They all have adopted and realize tour guide code of conduct and morals. They possess a broad knowledge of the area, and therefore you will hear and learn a lot about the Chagga culture from them.